This estate belongs to a famous Portuguese family, descendants of Almeida Garrett, a renowned diarist, poet and solider. The family vineyards are in the Beira Interior region in eastern Portugal, running between Alentejo and the Douro, an lie on granitic soils in the hills beneath the Serra de Estrela mountain range. Wine production in this beautiful region centers around two co-operatives, but in 1993 the Almeida Garrett family decided to go it alone and are the only privately owned estate in the region bottling their own wines. The wine making is in the hands of José Almeida Garrett and he skilfully blends touriga nacional, tinta roriz (aka tempranillo), syrah, and trincadeira in various combinations and bottles chardonnay as a single varietal. 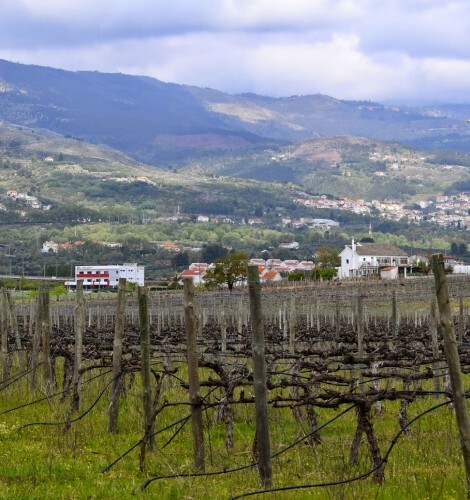 The climate and altitude in these foothills allow slow even ripening and while the wines have the full flavors that one would expect of modern Portuguese wines they have a delightful vibrancy too.